Some say the best alarm clock is sunshine on chrome. 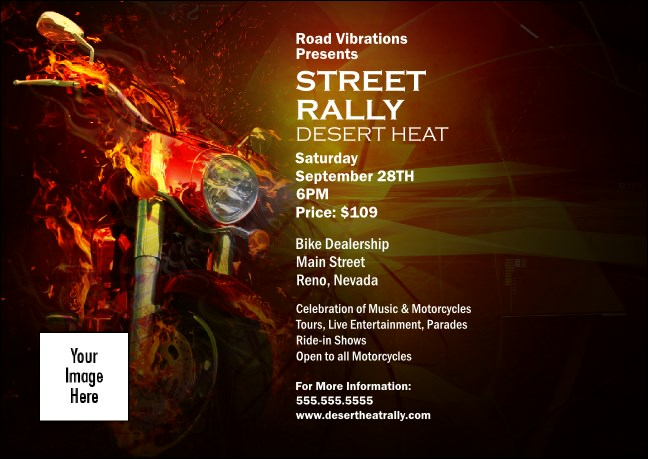 Set an alarm for your patrons and pull back the throttle on your event with the Motorcycle Postcard. This full bleed postcard template will have excited bikers yammering days before the date. Your source for highly personalized event promotion - TicketPrinting.com!